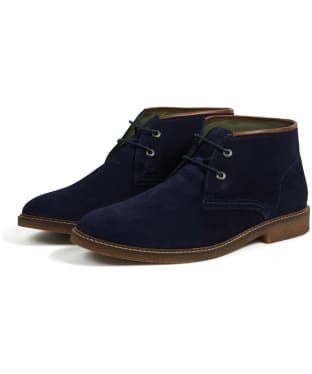 A classic Chelsea or the smart to casual fusion of chukka boots, explore our highly desirable collection of Barbour men's boots for the ultimate in dressing from the feet up. 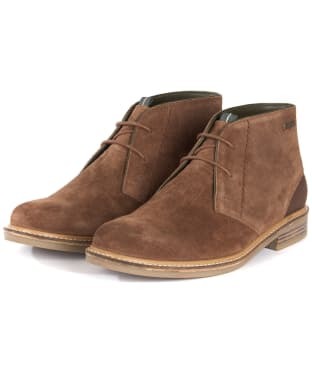 Constructed with both comfort and style as a focus, these boots present a varied range of attractive uppers that feel as good as they look - think polished leathers, dusty suede and durable canvas for a robust finish. 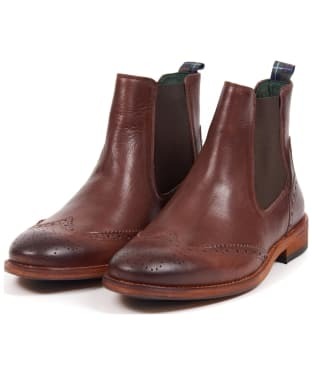 Sturdy and enduring, all of these boots will last you season after season, standing up to the test of time in inimitable style whilst wrapping your feet in ultimate comfort for the most desirable wear. 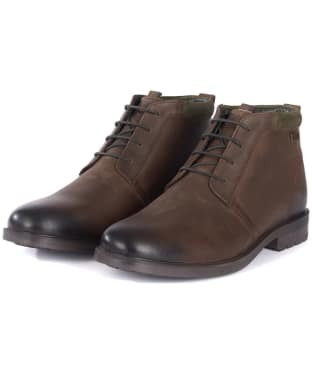 Ideal for casual day to day dressing or for smarter occasions with chinos and a shirt, our bevy of Barbour boots for men will tick all of your fashion boxes for a timeless investment. 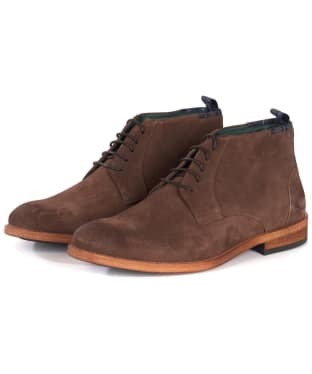 Tailored, smart, sporty, and classic...no matter what your personal preference there is a style for every guy, all with the unmistakable air of Barbour sophistication and quality. 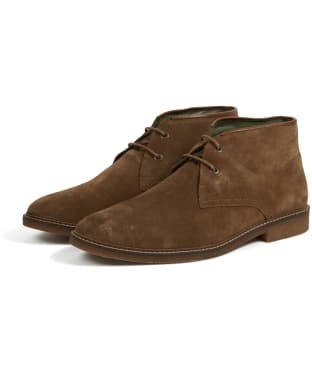 The Men's Barbour Readhead Chukka Boots have two eyelets with a Barbour wax fabric heel counter detail. 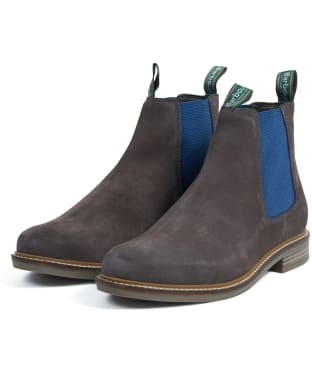 The dark green linings are complimented by the tartan in sock arch padding and tongue lining and the same colour is picked out on the hand sewn stitch detail on the outside facing. 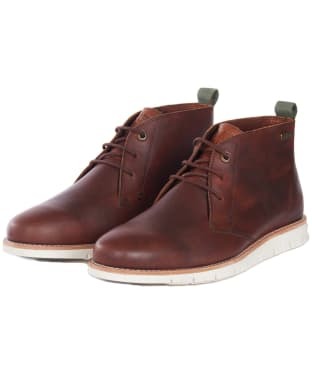 The dark gum sole has the “walking man” design on the tread surface with a tonal salpa rand. 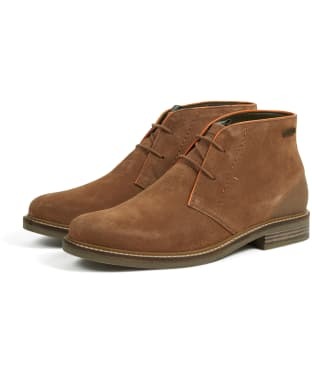 Bridging the gap between smart and casual, this men's Barbour Benwell Chukka Boot is a 100% leather lace-up style with a fully branded outsole and a Barbour rivet detail. 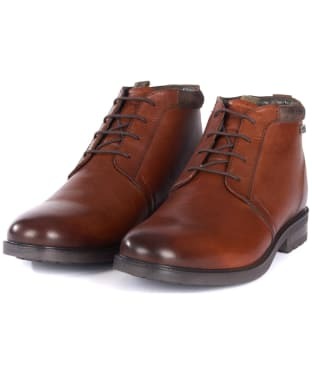 The supple leather construction ensures comfort and flexibility to reduce fatigue on the foot, whie the neat round toe and slight contrast sole adds a touch of classic styling that you are sure to love. An essential that no stylish gentlemen should be without, the Men's Barbour Kielder Chukka Boots are crafted from a 100% leather outer for a totally weatherproof design and a premium feel, they also boast a suede collar for a great contrasting look and on trend feel you are sure to love. 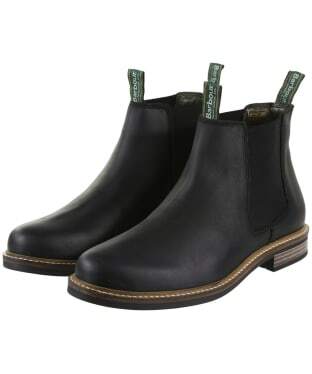 The boots are also complete with a cotton and leather blended lining which is also weatherproof and provides the utmost comfort, the rubber branded commando soul also adds that touch of wearability. 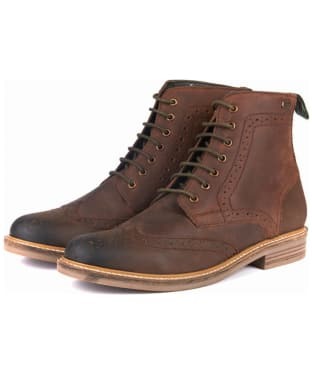 The Barbour logo is added to the side of the boot for that final touch of luxury and style. 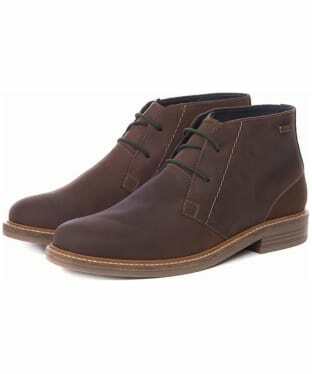 Whether commuting into the office or heading around town, these boots are the ideal choice and will complete your look with ease. These boots feature a rustic, aged look to match their practical purpose, the leather is not one block colour, and you will find lighter and darker patches. 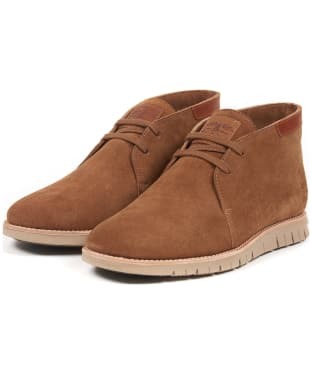 A modern twist on the classic desert boot, the Men's Barbour Kalahari Desert Boots have been crafted from 100% leather on the outer and a leather/cotton blend on the inner, offering you a stylish, premium and comfortable boot. As stylish as they are practical, the boots are fully lace up and featuring contrast leather detailing to the top binding as well as internal tartan detailing. 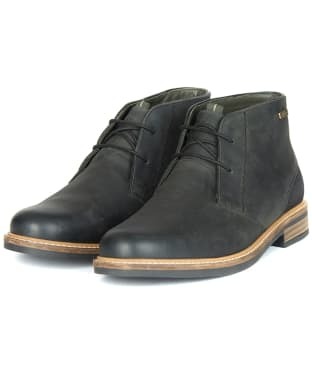 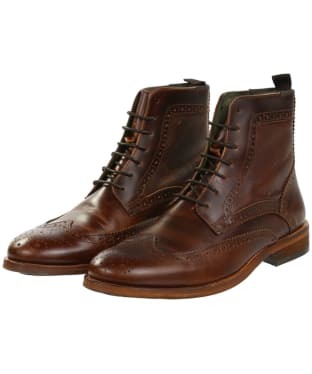 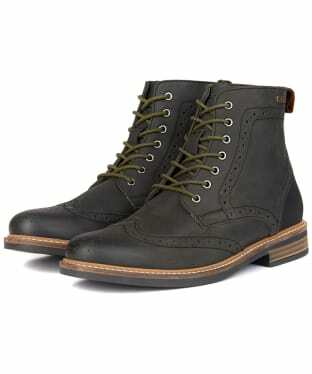 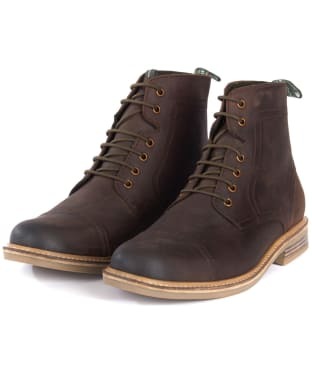 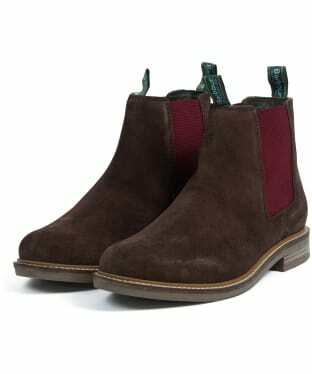 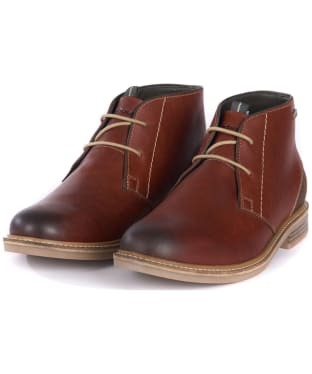 The boots will look great paired with your jeans or trousers and are suitable for both formal and casual wear. 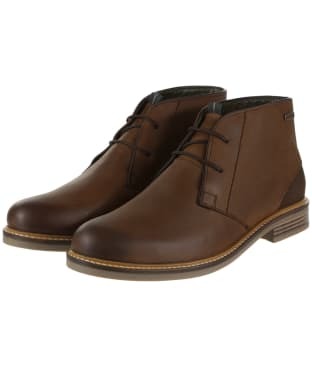 For that final stamp of style and mark of quality, the Barbour walking man detailing has been added to the outsole and will complement the rest of your look perfectly. 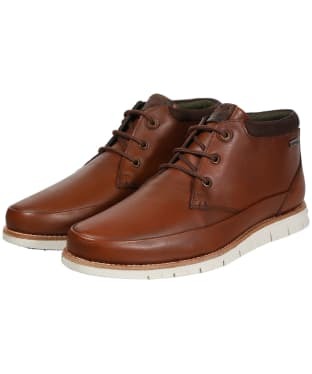 An iconic style sure to keep you on-trend through this season and beyond, the Men's Barbour Readhead Chukka Boots will complete your smart casual attire with ease. 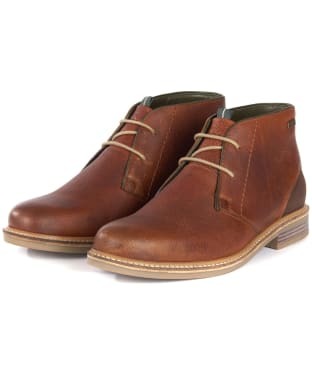 These 2 eyelet chukka boots boast a premium leather outer, as well as a super soft leather and cotton lining. 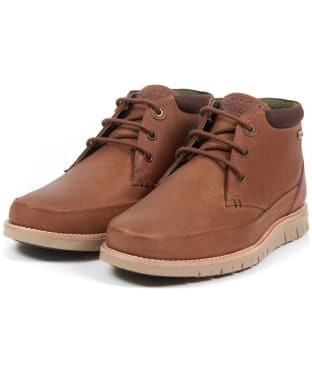 Sure to keep you comfortable whether you are walking through the town or country, the boots have a memory foam insole and are finished with a rubber sole that features the iconic Barbour walking man motif to support your feet. 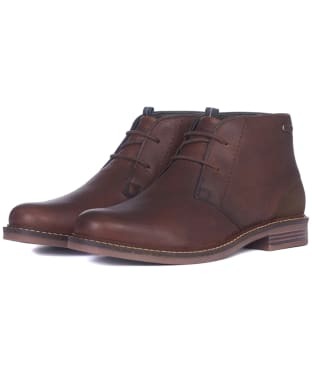 Perfect for any stylish gentlemen, the Men's Barbour Boughton Chukka Boots are crafted from 100% leather on the outer for a stylish look and premium feel. 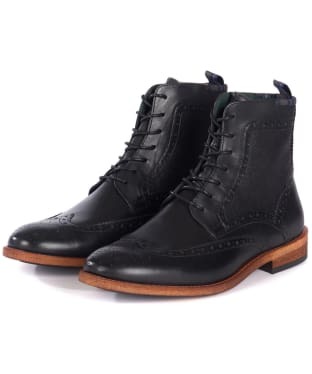 The boots are complete with a tartan lining crafted from a cotton and leather blend, which provides you with the upmost comfort whether out in the country or around town with friends or family. 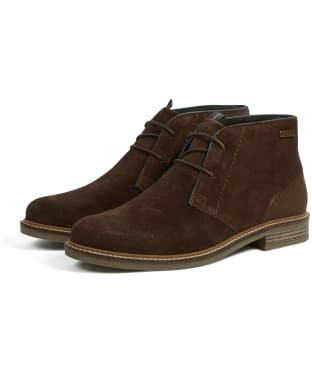 The flexi cushion sole adds that touch more wearability and like all Barbour footwear they feature some great finer styling details, including a contrasting suede section around the ankle and the Barbour beacon branding above the laces allowing you to step out in style this season. The Men's Barbour Clement Derby Boots feature a five eyelet design that simply looks great and combines style and practicality beautifully to offer a versatile boot that can be worn just as easily around town as it can in the office. 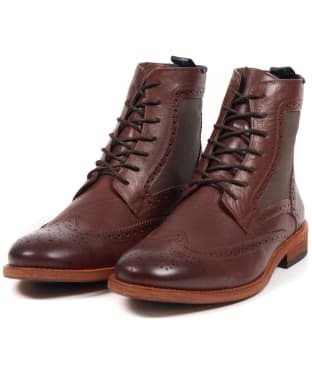 The Clement also features a wax cotton quilted collar insert and a putty coloured flexi cushion sole, for durability and comfort when you are out and about and ensures you can wear these boots all day long with ease. 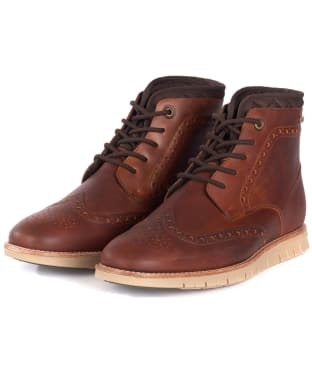 The Men's Barbour Nelson Mudguard Chukka Boots feature 3 eyelet detailing and a leather design that will complete those casual days with ease! 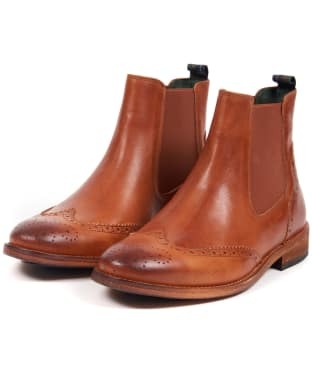 Featuring a stylish contrast heel panel the boots also boast a PU branded outsole which gives you additional durability whether walking about town or on the commute to work. 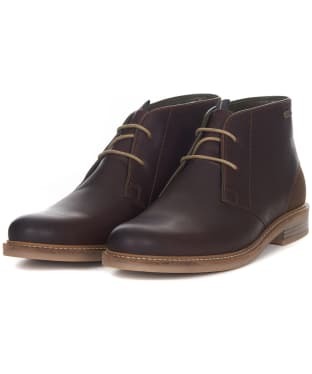 The style and design is rounded off with Barbour branding on the tongue and to the back, which adds that final stamp of quality and signal of luxury. 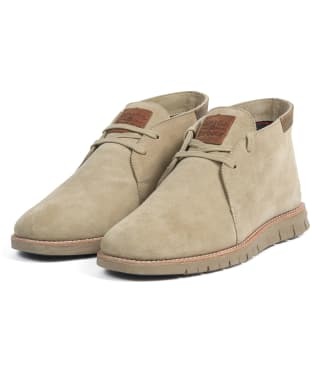 Ideal for those walks in town and country, the Men's Barbour Readhead Suede Chukka Boots are a pair of stylish footwear and boast a look that never goes out of fashion. 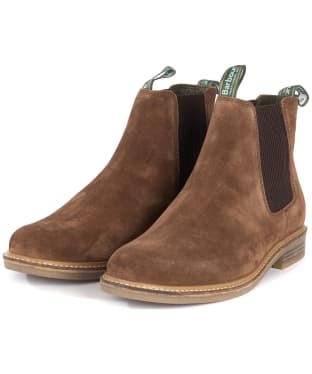 Crafted from a leather and cotton blend in a suede effect, the boots feature a classic cotton tartan lining and memory foam on the insole, offering you the upmost comfort. 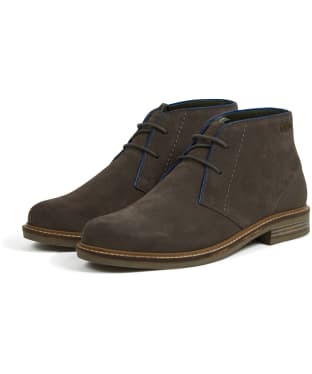 Finished off with the walking man motif to the outsole and the Barbour metal badge to the rear, these chukka boots are sure to keep you on trend and turn heads season after season. 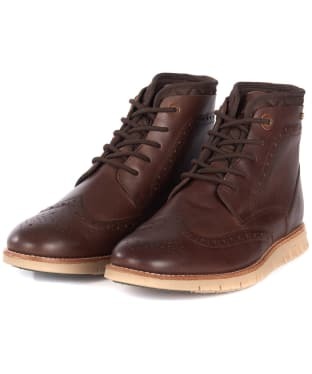 The Men's Barbour Dalton Boots are versatile to complete any outfit and the leather styling with cotton canvas heel makes for a great stylish and contrasting look that will ensure these boots are part of your footwear collection for a long time to come. 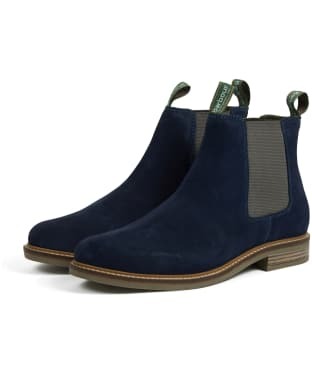 The classic cotton tartan lining adds to the luxury feel and also provides great comfort so these can be worn all day with ease. 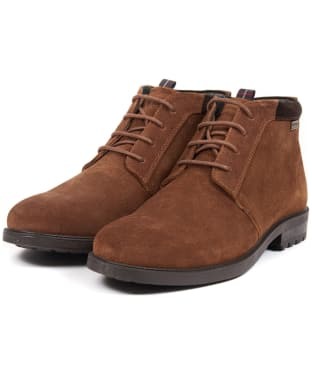 Besides the glorious style, these boots also entwine practicality and feature a rubber soul and cap toe providing you durability and excellent slip resistance. 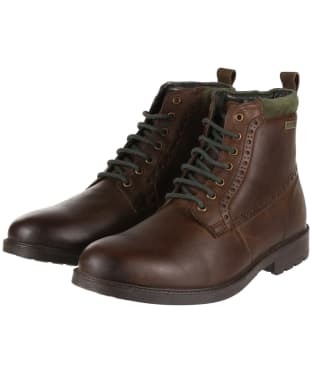 The design of the Dalton is completed with Barbour branding and the sole features the walking man design to complete a great look. 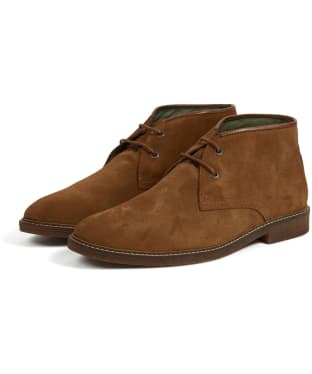 Complete those casual days with ease with the Men's Barbour Burghley Boots, offering you a nubuck chukka boot you are sure to love! 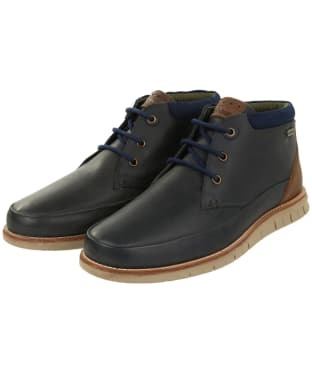 The flexible EVA outsole offers you an added touch of comfort whilst on the move. 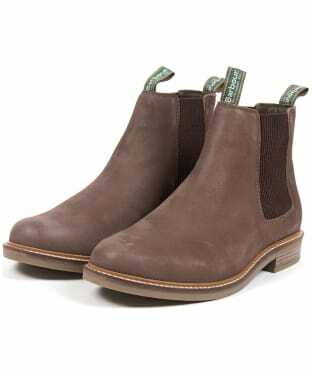 These boots are also unlined to give you added softness and a comfortable fit. 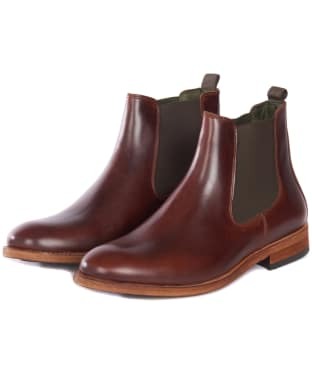 For an added touch of Barbour styling the Men's Barbour Burghley Boots has been finish with Barbour branding to the tongue.